It's freezing in the vestry of Salford's St Philips Church. Mike Hadreas, the twenty-something Seattlite who is Perfume Genius, is sat shivering in his summer coat. He's about to play his second ever UK concert and, as usual, he's terrified. He admits that his pre-gig ritual involves a "lot of tea and nervous pacing"; a good combination to keep the spectre of hypothermia at bay. Earlier this year, Hadreas released his debut album Learning. In ten eerily simple songs covering merely 29 minutes, the record displayed a naked, raw beauty that is both disarming and bewitching. His music is hymnal and confessional – the church setting seems a natural place for his delicate voice and innermost memories to float around its sombre surrounds. Hadreas' teenage years were spent battling abuse, drug addiction and alcoholism. After checking himself into rehab, and then relocating back to his parent's home in Seattle, he wrote a series of piano and organ-based songs which would act as therapy. One song, 'Mr Peterson', documents the attempted seduction by one of his schoolteachers ("He let me smoke weed in his truck / If I could convince him I loved him enough"), but Hadreas sprinkles enough hope and light to elevate Learning beyond teenage naval-gazing. **When we spoke back in April, you were about to play your third ever gig. How's life changed for you in the intervening time? Mike Hadreas: It's changed a lot. I have a record and I have record deals. I've gone on tour and played shows. I have an apartment in Seattle in the city, and I have my own money to get that - which is nice. And I assume you quit your day job? MH: I got fired. One day I had a photo shoot, it was the first one I ever did, and afterwards I felt very fancy and I thought 'I'm not going to go to work' because I have this whole music thing. I never called them or anything and the next day I remembered I needed to make money. Then they told me that 'our relationship was severed'. I was working in a department store. I'd been trying to get fired for months, but they have unions and no-one else wanted to work there. So how are you coping with your new life as a full-time musician? MH: I don't think I've even processed a lot of it yet. When I come back from a tour I'm like 'I just did all this stuff'. Sometimes, after I've played a show, I will lay my head down and I'll remember what I did – it's been amazing. A lot of things have changed around me and I wish I had grown with them. I'm still sort of a little bit of a mess. I'm learning a lot of things and becoming more comfortable. I'm learning to be more grateful for things as they happen. It's hard to do that whole 100% of the time, because I get anxious and nervous and stuff. I saw you at your first UK show, at Hoxton Hall back in July. It was a fabulous gig, but you seemed absolutely petrified. I could see your hands shaking between songs. Has playing live become any less of a trauma? MH: I was terrified [that night] – that was the biggest ever show I had played. I'll remember that London show forever. There were a lot of people there and everyone was really attentive. Everyone was so nice to me afterwards and before. And that has been how it's been the whole time. But, I'm still completely freaked out but I'm kind of used to how scared I am. Maybe I need that anxiousness to keep it fresh – I don't know. If I was fully comfortable, maybe I wouldn't be able to connect with it. I don't really have a choice for some reason, it always happens that way. Also, especially playing live, I worry that my music is too simple. Why would people come and pay money for something so tiny? But, when I do it, I have a confidence that there is a weight to it. Some artists seem to 'live for the stage'. Do you get any enjoyment out of playing gigs? MH: [After a long pause] I don't really know. [Another long pause] I guess I put everything on hold for a little bit. There are little pockets where I will get over all this crap - I'll kind of phase in and out – but afterwards there is this big cathartic thing. Everyone is nice to me which is, you know, exciting. You recorded your album by yourself, but your live show is embellished with another musician, Alan Wyffels. 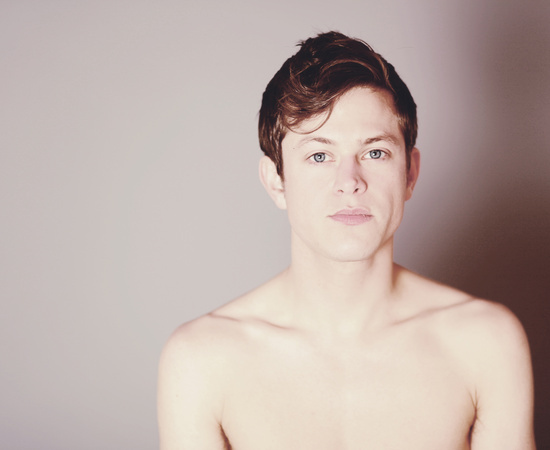 Is he solely there to help you play live, or is he the second member of Perfume Genius? MH: Alan is here to help but he has written some of the parts of the live arrangements, which are a little bit different than the record. He's a trained musician so he can hear things differently. There have been a few parts that he's written that I wouldn't have thought of. So, yes, he's part of it now. When we last spoke, you seemed very excited about receiving communication from a couple of people who had been deeply affected by your songs. Has this continued? MH: Yes, yes. I hope so. And do you reply to those fans? MH: I mean, that's hard. It gets strange when I feel I have to respond to those messages. I feel I have to say something uplifting or inspiring. Sometimes I am able to do that, but sometimes all I can really tell them is that I know exactly how they feel. Songs that are just a document can sometimes have a stronger message than trying to have a message. But, that's a weird road to walk. If it's just an experience then people can glean their own message from it. When you are a teenager growing up, you are always looking for that one thing that might make you feel better about yourself. That, in a sense, was what I was doing when I made all these songs. Some of the people that have written to me have gotten into it for that reason. Is that the demography of a typical Perfume Genius fan – a teenager who is struggling to cope with issues? MH: Some, but not all. It's like everything else, like when I went to rehab, there is a whole bunch of people there sharing the same experience as you but you would have no idea if you saw them in the street. Like some construction worker, who I would be terrified of, opens his mouth and he is talking about similar experiences to you and that is what the people who come to the shows are like. Of course some of them are teenagers and are ready to think about tortured things. I know you were concerned about other interviews centering on your past, but the honesty of your lyrics does generate a natural instinct to know more. Is there is a sense that you have opened yourself to endless interrogation from fans and journalists alike? MH: I don't blame them for thinking that either. The main reason why I don't want to talk about that stuff is that I don't want to magnify it. I understand the need to have that, to put my music in context. But 90% of things that were dark or happened to me, I created myself. So, when my mom reads this stuff she is like 'Wait, was it really that bad?' I'm like 'No, but you know it wasn't perfect.' Growing up there were a whole bunch of things I could change about myself to make it easier to survive at high-school or whatever, and carry myself differently, but I would do it for about 10 minutes and my wrists would go limp. I was just too tired; I just didn't have it in me. So looking forward, have you been writing songs recently? If so, how are they sounding? MH: I have a bunch of new songs and stuff, but it is taking me a while to let go of the expectation of it. Probably after this leg of the tour, I'm gonna sit down and finish off an album within like a month. On my first album, I wrote all the words first and with the new songs I'm kinda sitting at the piano first. I think that is the biggest difference right now. I'm thinking too much about the music part, and I haven't been writing as much. That's why it's been difficult. So there is going to be a new album in 2011? MH: Yeah – for sure. I hope. I keep thinking that I'm gonna have some big revelation as to how it is gonna sound. I plan on holing up in a cabin or something dramatic like that and then something is going to happen. I keep looking at things and taking notes in my mind of people's behaviour and it's all gonna brew. What I do know is the new stuff is not gonna lose the intimacy – I don't think I could even if I tried. It's going to be cleaner, you are going to be able to hear me singing and maybe there will be some other instruments and stuff. Lyrically, I guess I have different things to say. Maybe more about healing from things, instead of just what happened. Maybe I'm talking more about what happened next. I don't know. I'm going to Japan too. It looks intense. I watched the Enter The Void movie and got a little bit scared by Tokyo. But all the clothes are gonna fit me over there.